This article is about the singer. For the anchorite, see Martha Reeves (anchorite). For the sociologist, see Martha Ellen Reeves. Martha Rose Reeves (born July 18, 1941) is an American R&B and pop singer and former politician, and is the lead singer of the Motown girl group Martha Reeves and the Vandellas. They scored over a dozen hit singles, including "Come and Get These Memories", "Nowhere to Run", "Heat Wave", "Jimmy Mack", and their signature "Dancing In The Street". From 2005 until 2009, Reeves served as an elected council woman for the city of Detroit, Michigan. Martha Rose Reeves was born in Eufaula, Alabama, the first daughter of Elijah Joshua Reeves and Ruby Lee Gilmore Reeves, and the third of the couple's 11 children. She was a baby when the family moved from Eufaula to Detroit, Michigan, where her grandfather, Reverend Elijah Reeves, was a minister at Detroit's Metropolitan Church. The family was very active in the church and its choir. Elijah played guitar and Ruby liked to sing; the children acquired their love of music from their parents. At Detroit's Northeastern High School, her vocal coach was Abraham Silver, who also worked with Florence Ballard and Mary Wilson (of the Supremes) and Bobby Rogers (of the Miracles). Raised on gospel, and inspired by singers like Lena Horne and Della Reese, Reeves became a fan of R&B and doo-wop music. She joined the Fascinations. in 1959, but left the group before they became a recording act. Through 1960 and 1961, Reeves made ends meet working several jobs by day and worked as a singer in nighttime hours singing jazz and blues standards at some of Detroit's respected nightclubs. Singing at the 20 Grand, Reeves was spotted by Motown A&R director Mickey Stevenson, who recognized her talent, gave her his business card and invited her to audition. Reeves, who used the stage name Martha Lavaille showed up at Motown's Hitsville USA studios the next morning, not knowing that she was to call to schedule an audition. Stevenson asked her to answer phones while he took care of other business. Using the skills she had learned in commercial courses in high school, Reeves answered phones, took notes, administrated payroll for Motown's famed Funk Brothers, and made herself invaluable. Before long, Reeves was working several hours at Hitsville as Stevenson's right hand. (Reeves also did A&R work in addition to secretarial work for Motown.) By 1961, the Del-Phis had changed their name to The Vels and recorded singles for Checker and Checkmate Records. One day, when Mary Wells couldn't make a session, Reeves stepped up to the mic, and called in the Del-Phis. With "I'll Have to Let Him Go", Martha and the Vandellas was born. Then, when the Andantes couldn't make a session to back the Miracles' drummer on songs he was recording, Martha called her groupmates. The ladies (a trio after Williams' departure) provided backup vocals for Marvin Gaye's "Stubborn Kind of Fellow". The single became a hit. Martha and the Vandellas backed Gaye on his first three singles, his first album, and on stage—even after they had their own hits. With her brassy and gospel-reared vocals, Martha Reeves helped Martha and the Vandellas ascend from background singers with early songs such as "Come and Get These Memories" and "(Love Is Like a) Heat Wave" distinguishing the group from contemporaries and labelmates the Marvelettes, who preceded them, and the Supremes, who followed them..
After "Heat Wave" became the group's first million-seller, Martha and the Vandellas quickly rose to become one of the label's top draws both as recording stars and as a successful live act. Martha was the one consistent member of the group staying throughout all the group's incarnations and lineups. 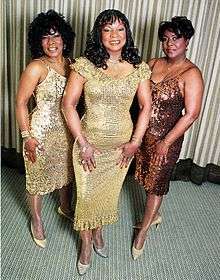 After the exits of original members Annette Beard and Rosalind Ashford, members replacing them included Betty Kelly, Sandra Tilley (both formerly of The Velvelettes) and one of Martha's sisters Lois Reeves. Among the singles released that became signature hits for the group are "Quicksand", "In My Lonely Room", "Live Wire", "Nowhere to Run", "A Love Like Yours (Don't Come Knocking Everyday)", "I'm Ready for Love", "Jimmy Mack", "Honey Chile" and the group's most popular single, "Dancing in the Street". Their legendary television appearances included The Mike Douglas Show, The Joey Bishop Show, American Bandstand, Where the Action Is, Shindig, Swingin' Time, Soul Train, The Ed Sullivan Show, and with Brit soul singer Dusty Springfield, on the UK show Ready Steady Go! The group was also featured in major magazine articles in Johnson Publishing Corp. publications including HEP, Ebony and JET, and in SOUL newspaper and SOUL Illustrated magazine. Reeves was also an early contributing writer for SOUL. With major success came challenges. They faced standard girl group struggles, struggling to have personal lives while maintaining relentless recording and touring schedules. When original member Rosalind Ashford left in 1968, Martha recruited Sandra Tilley and the lineup of Martha and Lois Reeves and Tilley continued until 1972 when the group disbanded shortly after issuing the Black Magic album. In 1972, after Motown moved from Detroit to Los Angeles, Reeves negotiated out of her contract, ending her tenure with the label. In 1989, Martha, Rosalind Ashford, and Annette Beard filed a lawsuit against Motown Records for royalties on the group's records not received since 1972. The company reached a settlement with the women in 1991. Berry Gordy, Jr. apologized to Reeves for the length of time in reaching the agreement and the terms of the settlement were not made public. Despite media reports to the contrary, Reeves and Gordy remain close to this day. While on Detroit's City Council, Reeves had the name West Grand Blvd (where Motown studios are located) changed to Berry Gordy Blvd. After leaving Motown and moving to Los Angeles herself, Martha was signed by MCA records. Her first project, released in January 1974, was the soundtrack for one of the last blaxploitation films, "Willie Dynamite", with legendary jazz trombonist J.J. Johnson. In the summer of the year, MCA released her self-titled album, produced by Richard Perry. It was reportedly the most expensive album of that time, costing $250,000, and featuring other star musicians including Billy Preston, Joe Sample and James Taylor. Featuring the singles, "Power of Love" and "Wild Night", the album was a critically favored smash, and a hit on the then-new FM radio station market. It failed, though, to generate commercial success as did Reeves' subsequent follow-ups on other labels including Arista and Fantasy. Having moved to Los Angeles, Reeves took acting classes at the Lee Strasberg Institute, and appeared in the movie Fairy Tales, and on the Quincy, ME television series, as well as game shows like Hollywood Squares. In 1977, with the help of In 1977, with the help of former Motown producer Frank Wilson, Reeves became a born-again Christian, joining the Mt. Zion Missionary Baptist Church, pastored by Rev. EV Hill. She released one album on Arista, working with Clive Davis, the Chairmen of the Board's General Johnson and others, and two albums on the Fantasy label, working with other former Motown colleagues Hank Cosby and Holland, Dozier and Holland. In 1983, she performed solo on the famed Motown 25 special. She then performed in a Broadway production of Ain't Misbehavin' and reunited with original members of the Vandellas in 1989 both on record (recording for the London-based Motorcity Records that year issuing the single "Step into My Shoes") and on tour. In 1995, Reeves and the Vandellas were inducted to the Rock & Roll Hall of Fame and were inducted to the Vocal Group Hall of Fame in 2003. Martha performed as part of the halftime show of Super Bowl XXXII in 1998, with her sisters, and current Vandellas, Lois and Delphine Reeves. In 2004, Reeves released her first album in 24 years, Home to You, with songs she wrote and produced herself except for a Billie Holiday cover and an updated version of her big hit, "Jimmy Mack". Between leaving the Vandellas and her solo career, Martha served as an early contributor to the music newspaper, Soul, for which she was honored for by the Black Women in Publishing organization. She was also honored for her best-selling 1995 autobiography, Dancing in the Street. "Wild Night" was featured on the soundtrack to the movie Thelma & Louise; the song can be heard during one of the several crucial moments in the lead characters' lives. Martha sometimes opens her live performances with this number. "Nowhere to Run" is the first record played by Robin Williams as manic DJ Adrian Cronauer in the movie "Good Morning, Vietnam". Her solo television appearances The Midnight Special, Soul Train, Don Kirschner's Rock Concert, The Dennis Miller Show (singing "Georgia On My Mind" with James Brown, VH-1's Divas Celebrate Soul, singing her 1965 hit "Nowhere To Run" backed by singers Marsha Ambrosius and Sharon Jones of the Dap-Kings; on Jimmy Kimmel Live! with the Crystal Method and a stellar group of rockers including Brain from Nine Inch Nails, Rob Fortus from Guns N' Roses and Darryl Jones from the Rolling Stones, and on Dancing With the Stars with the Temptations and Smokey Robinson. That same week she was back on the music charts with a recording entitled "I'm Not Leaving" with the Crystal Method. In January 2012, Martha held court at London's Ronnie Scott's Jazz Club with a sold out six-show stand that drew celebrity friends like Phil Collins and Boy George. Other recent appearances include Carnegie Hall, the Blue Note (Milan, Italy), the Howard Theater (Washington, DC), the Dakota Jazz Club (Minneapolis), BB King Blues Club (NYC), the Cheltenhem Jazz Festival and the Mouth of the Tyne Festival. In November 2015, just weeks after the terrorist bombings in Brussels and Paris, Reeves and her co-horts embarked on a sold-out tour of clubs and theatres in the city of lights and throughout Belgium. Reeves received an honorary PhD in Humanities on November 25, 2012, in Detroit. She was inducted into the Rhythm and Blues Music Hall of Fame in September 2015. Reeves received the Sandy Hosey Lifetime Achievement Award at the Artists Music Guild's 2015 AMG Heritage Awards on November 14, 2015, in Monroe, North Carolina. She is featured in Alabama's 2016 Black History calendar, sponsored by AT&T. In August 2016, Martha Reeves and the Vandellas will be presented in concert at London's Hippodrome Theatre, where various Motown artists recorded live albums in the 1960s and 1970s. After serving on the Detroit City Council from 2005 to 2009, Reeves returned to full-time performing with nearly 50 shows annually, including a major tour of Australia in 2010. She regularly appears at festivals in England during the summer, and for her performances was nominated for two UK Festival Awards, as "Best Headliner" and "Feel Good Act of the Summer." Reeves is a board member of SAG-AFTRA Detroit chapter. In 2007, she testified before Congress on behalf of musicians, session singers and recording artists for better wages and royalties. She was honored for her hard work and courage in 2007 by delegates and members of AFTRA. She is also on the board of SoundExchange, a non-profit performance rights organization that collects royalties on behalf of sound recording copyright owners and featured artists for non-interactive digital transmissions, including satellite and internet radio. She made a cameo appearance in the film Tenacious D in The Pick of Destiny, as a passer-by listening to the duo on the boardwalk. This information was revealed in the film's DVD audio commentary DVD by Kyle Gass. Martha continues to perform concerts and club dates both solo and with her Vandellas—sisters Lois (Motown-era Vandella since 1967) and Delphine (since mid-1980s). Reeves has one son, three grandchildren and two great-grandchildren. 1 2 3 "Martha and the Vandellas Biography". Britannica.com. Archived from the original on August 13, 2010. Retrieved 16 December 2010. 1 2 3 Kroll, Vicki L. (August 31, 2010). "Motown Legend to sing at Music Fest". University of Toledo. Retrieved December 16, 2010. 1 2 3 4 "Martha Reeves". TheSoulGuy.com. Archived from the original on 2008-05-10. Retrieved 16 December 2010. 1 2 3 4 5 6 7 8 "Martha and the Vandellas". HistoryofRock.com. Retrieved 16 December 2010. 1 2 3 "Martha Reeves". General Entertainment.com. Retrieved 16 December 2010. 1 2 3 "Martha Reeves". NNDB. Retrieved 16 December 2010. ↑ "Show 26 - The Soul Reformation: Phase two, the Motown story". UNT Digital Library. June 22, 1969. Retrieved December 17, 2010. 1 2 "Martha Reeves". Encyclopedia.com. Retrieved December 16, 2010. ↑ "Martha and the Vandellas". Ebony. February 1968. Retrieved December 16, 2010. ↑ Warner, Jay, ed. (2006). American Singing Groups: A History, From 1940 to Today. Hal Leonard. p. 584. ISBN 0-634-09978-7. Retrieved December 16, 2010. ↑ "Martha Reeves Without the Vandellas". Ebony. February 1988. Retrieved December 16, 2010. ↑ Randall, Annie J. (2005). "Dusty Springfield and the Motown Invasion". Institute for Studies In American Music. Retrieved December 24, 2010. ↑ "The Ed Sullivan Show Episode 19.13". IMDB. Retrieved December 16, 2010. ↑ "Martha Reeves Quits Vandellas To Go Solo". Jet. February 15, 1973. Retrieved December 16, 2010. ↑ "Singer Martha Reeves Leaves Motown Records". Jet. March 29, 1973. Retrieved December 16, 2010. 1 2 "Martha Reeves". IMDB. Retrieved December 16, 2010. ↑ "Fairy Tales". IMDB. Retrieved 16 December 2010. ↑ "Motown 25:Yesterday, Today, Forever". IMDB. Retrieved 16 December 2010. ↑ "Martha and the Vandellas Biography". Rock & Roll Hall of Fame. Retrieved December 16, 2010. ↑ "Al Green, Martha and the Vandellas Inducted Into Rock and Roll Hall of Fame During Gala Ceremonies in New York City". Jet. January 30, 1995. Retrieved December 16, 2010. ↑ Gregory, Andy, ed. (2002). International Who's Who in Popular Music. Europa Publications. p. 637. ISBN 1-85743-161-8. Retrieved December 16, 2010. ↑ Reeves, Martha; Bego, Mark, eds. (1995). Dancing in the Street. Hyperion. p. 286. ISBN 0-7868-8094-5. Retrieved December 16, 2010. ↑ "Thelma and Louise". IMDB. Retrieved 16 December 2010. ↑ Awards, 2015 AMG Heritage. "Martha Reeves takes home honors at the 2015 AMG Heritage Awards". Artists Music Guild. Artists Music Guild. Retrieved 21 December 2015. Wikimedia Commons has media related to Martha Reeves.